This impressive piece of armor is modeled after a helmet that was found in a burial site at Sutton Hoo, in England. Deriving its name from where it was found, the Sutton Hoo Helmet is a great example of how elaborate and imposing Viking Helms could be. Likely went for a king, this helmet takes all the classic features that one would expect of an early Viking helmet and adds to them, making an impressive piece that is perfect for wearing or for displaying. The helmet features a rounded top that is reinforced with bands of metal and rivets, which gives this helmet a level of sturdiness that reminds the wearer that this armor and not just a decorate piece. The back of the helmet extends down and flares out, providing adequate protection to the lower head and neck, while the sides of the helm feature extended protectors that keep the cheeks and sides of the face protected. The front of the helmet features a war-mask that extends down, possessing eye-holes for the wearer to see out of, as well as a decorative polished brass brow, nose plate, and mouth, mimicking the look of a face in the helms design. 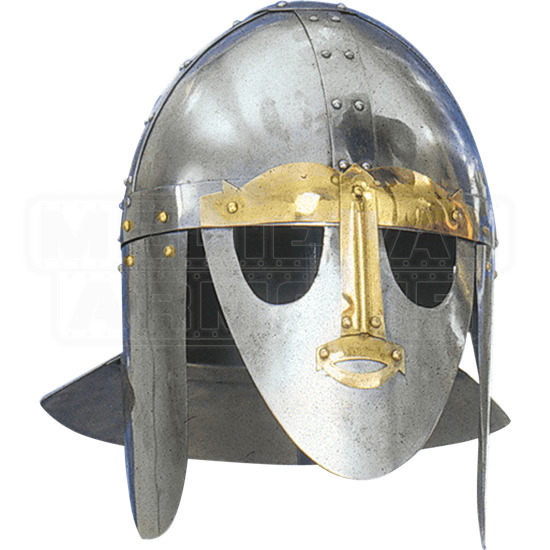 The helmet is made from quality metals, including steel and polished brass. 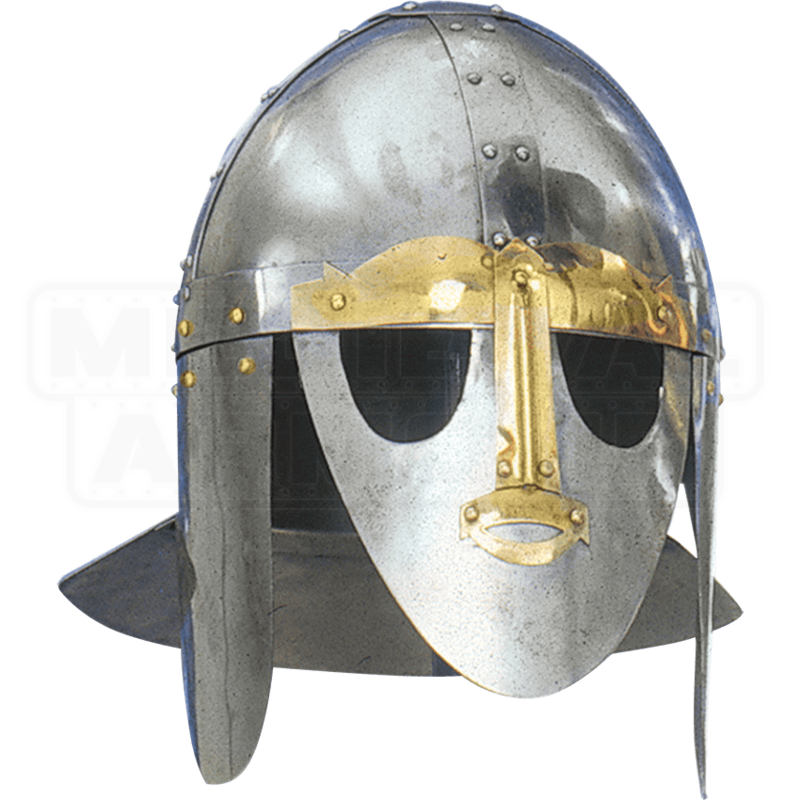 This Sutton Hoo Helmet is a great alternative as a Viking helmet, possessing just the right qualities that make this helmet a fantastic costume piece, as well as a great piece of history to display in your home.